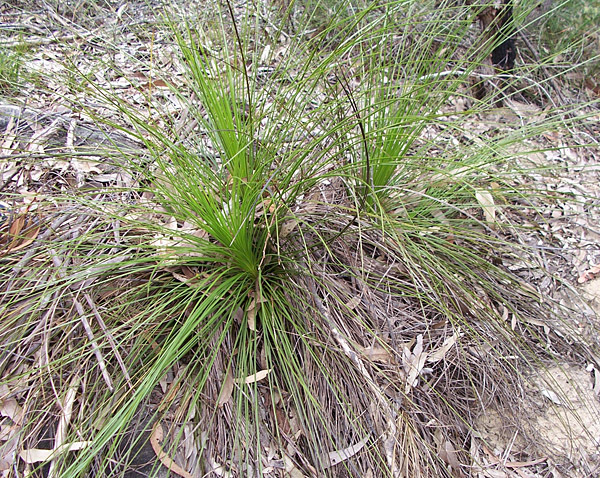 An endemic genus (that is, only found in Australia) with 15 species, distributed in all states. 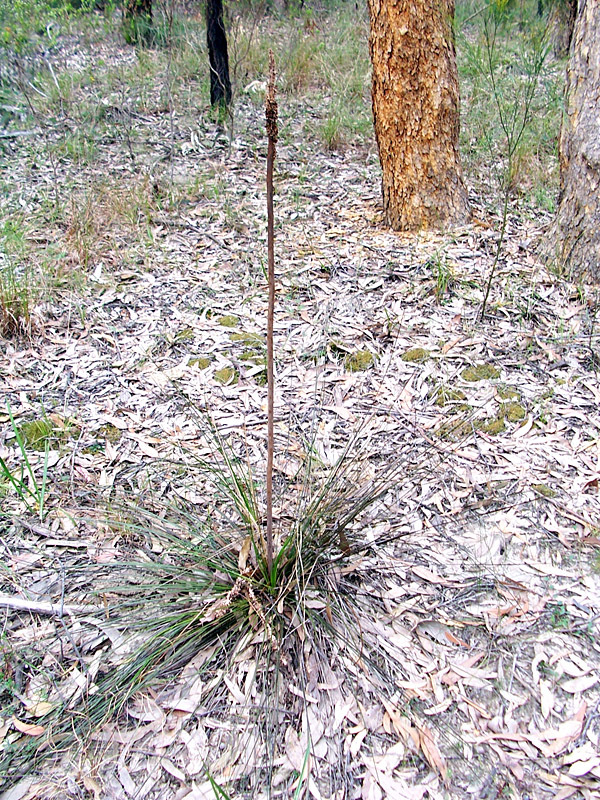 One of the most interesting and distinctive of Australian plants, and one of the most useful. 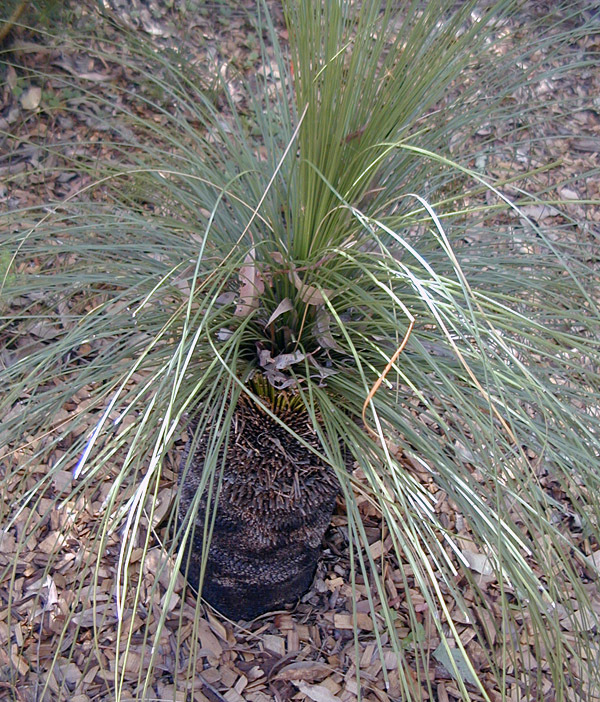 Grass-trees have a short trunk, which may be underground, a large crown of slender leaves and (when flowering) a tall scape with a dense spike of tiny white-brown flowers at the top. The flowering period is short and does not always happen every year. Nectar from flowers can be sucked or made into a drink by soaking in water. The wood from the flower stalks is very light, almost like balsa wood, and is one of the best to use for friction firemaking, such as the bow drill fire or hand drill fire. The flower stalks were used to make the tail ends of spear shafts, with a heavier wood used for the head. 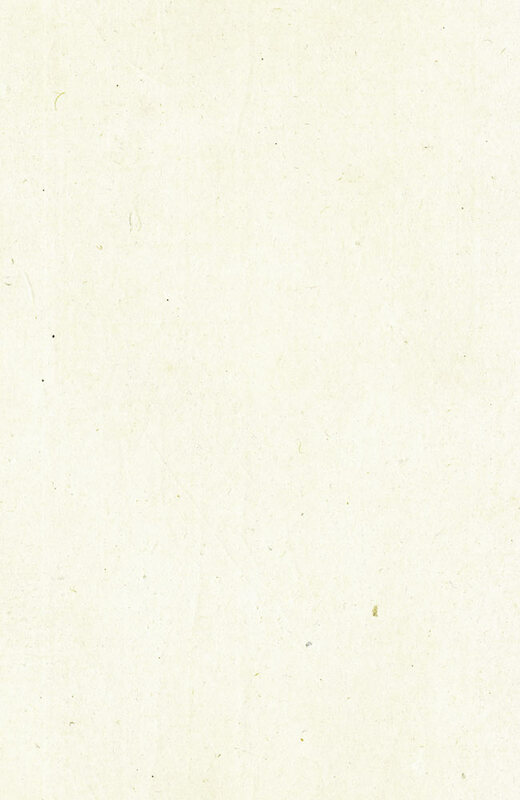 Resin can be extracted from the plant, which was used as a glue.